Fees associated with filing patent applications in Sri Lanka, as well as other patent fees, are available in the fee calculator. The term for filing patent applications in Sri Lanka is 12 months from the date of priority. The restoration of this term is not possible. To obtain a filing date, it is necessary to provide the National Intellectual Property Office of Sri Lanka with the name and address of the applicant and the inventor, assignment deed (if applicable), description of the patent, a claim or set of claims and payment of the filing fee. The language of the Sri Lankan patent application is English. The application may be filed in any other foreign language; however the English translation should be submitted within three months from the date of filing the patent application. The certified copy of the priority document must be submitted within three months from the date of filing. Simply signed and stamped Power of Attorney must be provided within three months from the date of filing. If the applicant of the Sri Lankan patent application is not the inventor, an assignment deed signed and stamped by both parties must be provided within three months from the date of filing. For granting a Sri Lankan patent, an applicant must submit a search report issued by any national intellectual property office or inter-governmental organization appointed as an International Searching Authority under the PCT. The search report must be provided to the Patent Office within three months from issuance thereof, and if it is not in English, the translation should be provided. However, the applicant may request the Director-General to appoint a local examiner. No official grant fee needs to be paid. The first annual fees for the Sri Lankan patent will fall due within two years after the certificate has been issued. All subsequent annual fees should be paid annually before the anniversary of the filing date. Late payment is possible within six months after alongside payment of the corresponding surcharge. Annual maintenance fees may be paid in advance. There is a one-year novelty grace period in Sri Lanka for the disclosures made by the applicant or his predecessor in title. A six-month novelty grace period is applied when the disclosure was made in abuse of the rights of the applicant or his legal predecessor in title. For foreign patent applicants, it is necessary to perform patent prosecution in Sri Lanka through a registered patent attorney in Sri Lanka. 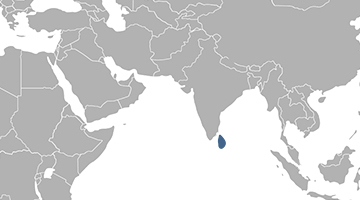 Please contact us if the above information contains any discrepancies with Sri Lankan IP Laws.